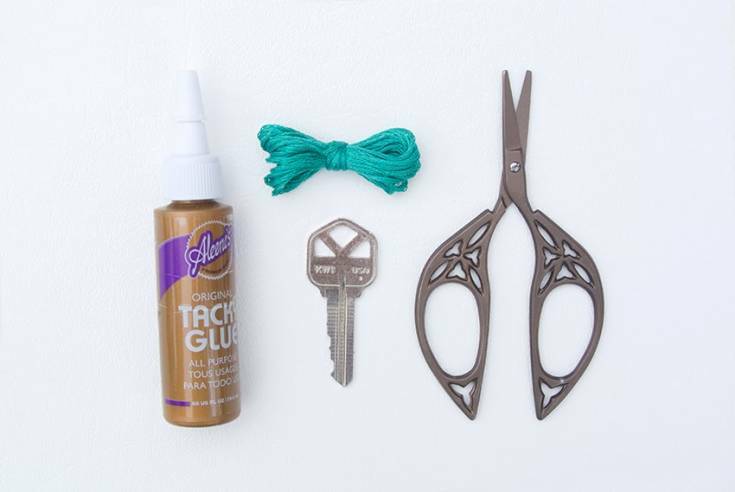 First, take glue and put it on top (both sides) of the key. It is suggestible to add a small quantity of glue first and then if needed add more. 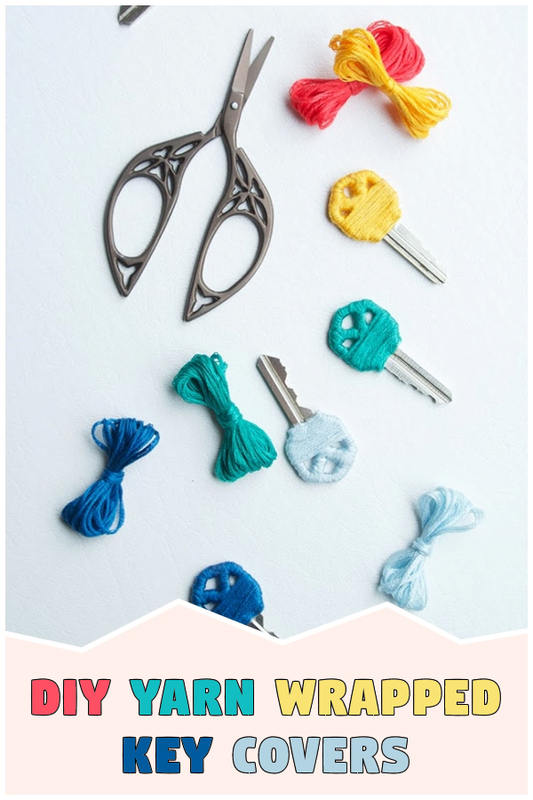 Find the embroidery floss center and put it on the base of the key’s bow. 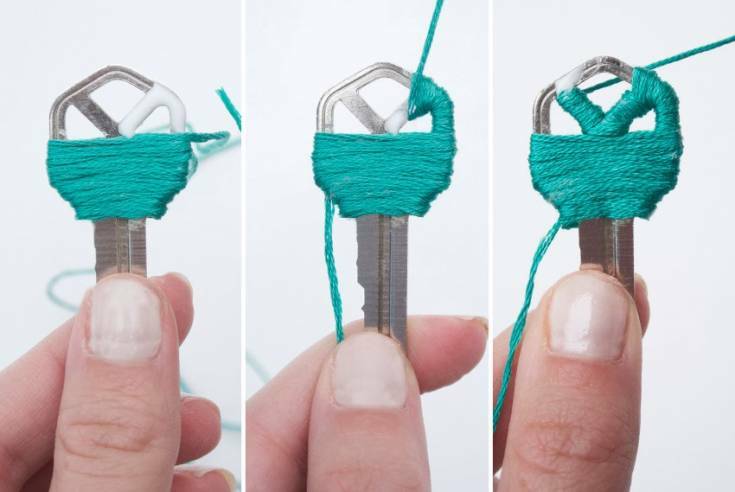 Take the embroidery floss to the top and start wrapping around the key cover, and wrap the two sides with the yarn alternatively. If needed add more glue and keep wrapping. In case, the key you selected contains multiple holes on the top of the key, then you must wrap each hole individually. Lock the first end of the floss and attach it with glue to the rest of the yarn. Cut the extra yarn off if required. 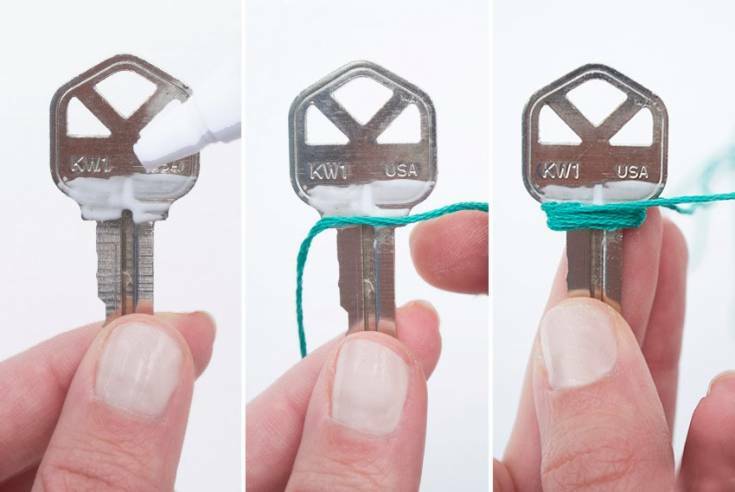 Wrap the residual end around the key and cover it completely. 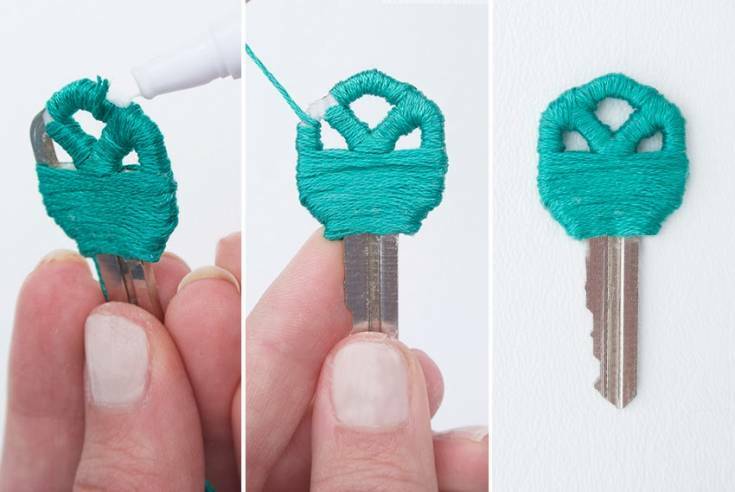 Now, glue the ends to stick to the key securely.